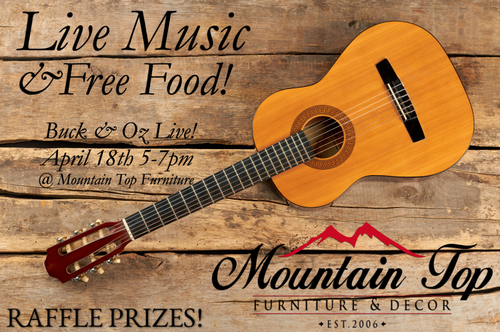 Everyone is invited to an Open House, Business After Hours at Mountain Top Furniture. Refreshments and Appetizers will be served. There will also be Live Music! Come out to meet fellow Chamber Members and Business Owners. This is also an excellent opportunity to view the various outdoor and indoor furniture and home decor that Mountain Top Furniture has to offer. A Raffle will be held as well, but you must be present to win.